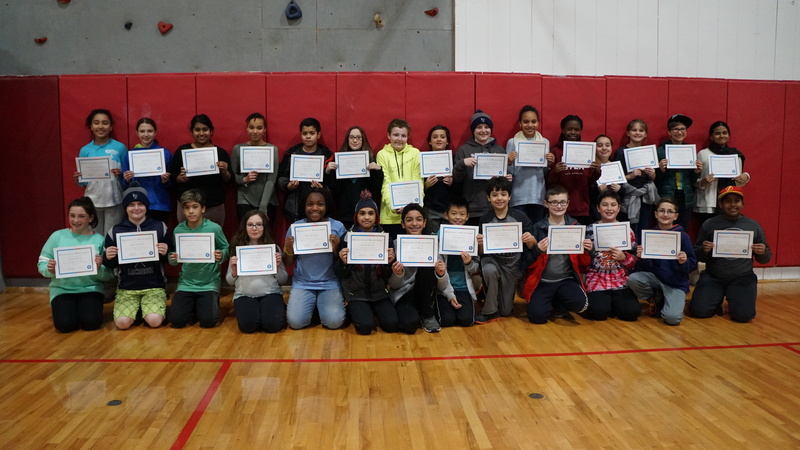 On Tuesday, January 9, 2018 the entire McAuliffe community came together for our monthly community meeting. 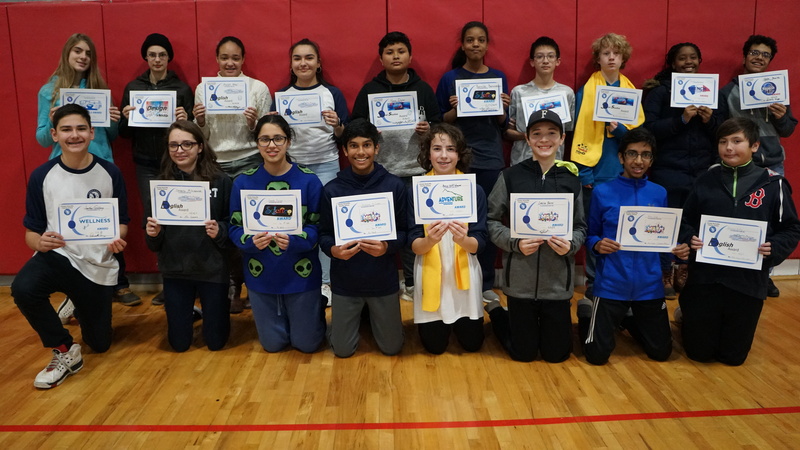 We celebrated our scholars who earned awards during Trimester One. 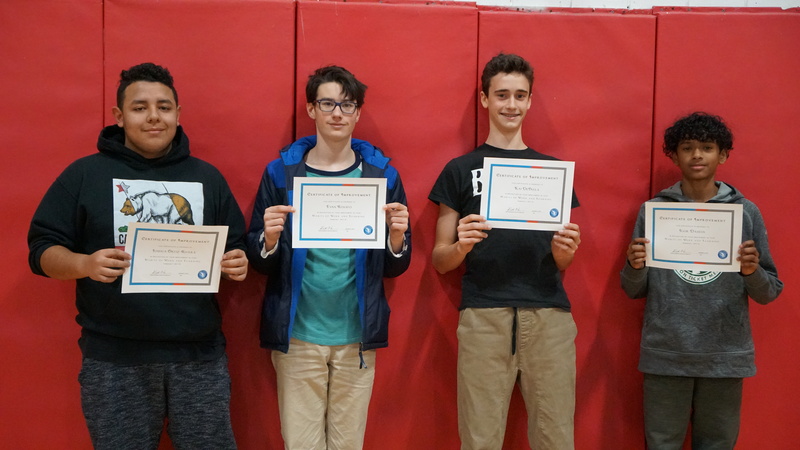 McAuliffe distributes three types of awards at the end of each trimester. 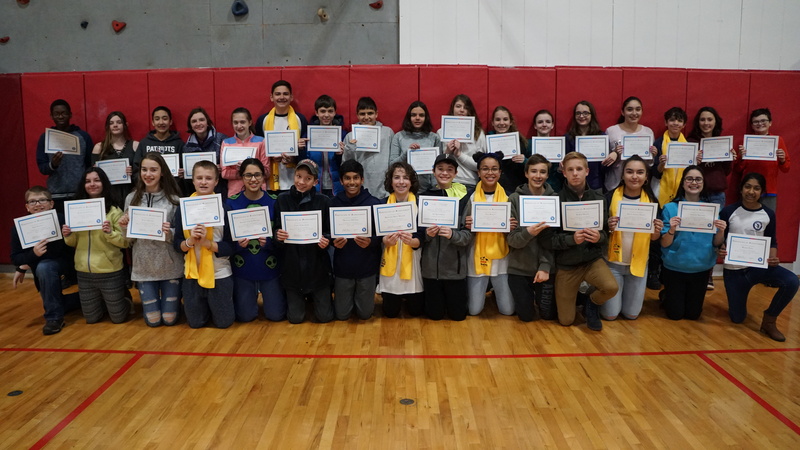 The awards celebrate strong Habits of Work and Learning, improvements to Habits of Work and Learning, and performance in specific subject areas. 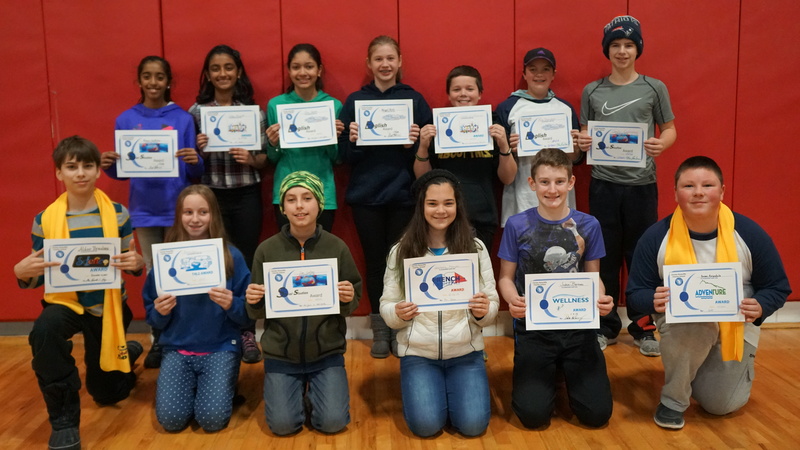 HOWLs Awards were given to scholars who were Meeting on each of their Trimester 1 Habits of Work and Learning. 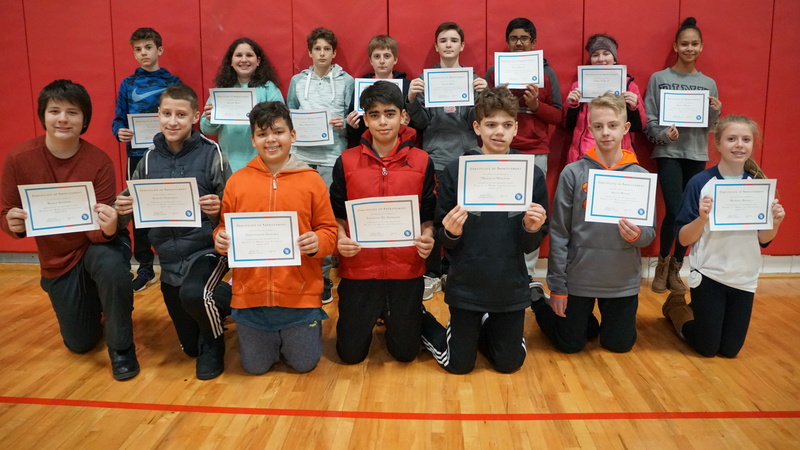 (HOWLs) Each of the following scholars received a Trimester 1 HOWLs award to recognize them for their hard work during the first trimester of the year. 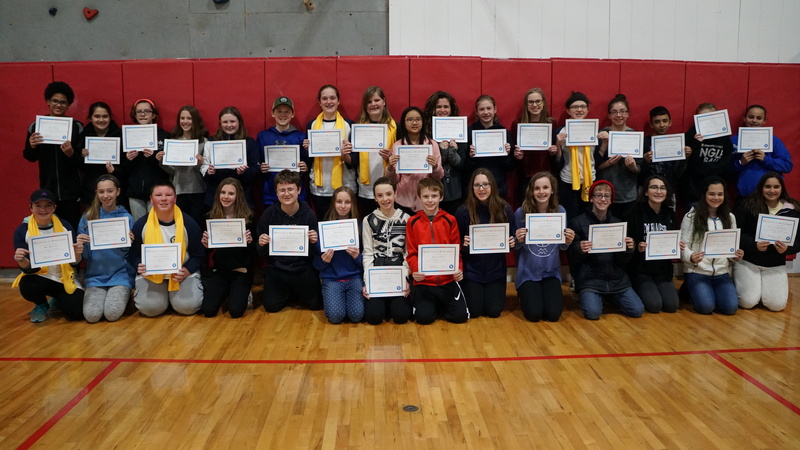 HOWLs Improvement Awards were given to seventh and eighth graders who made substantial gains on their Habits of Work and Learning from Trimester 3 of the 2016-17 school year to Trimester 1 of the 2017-18 school year. 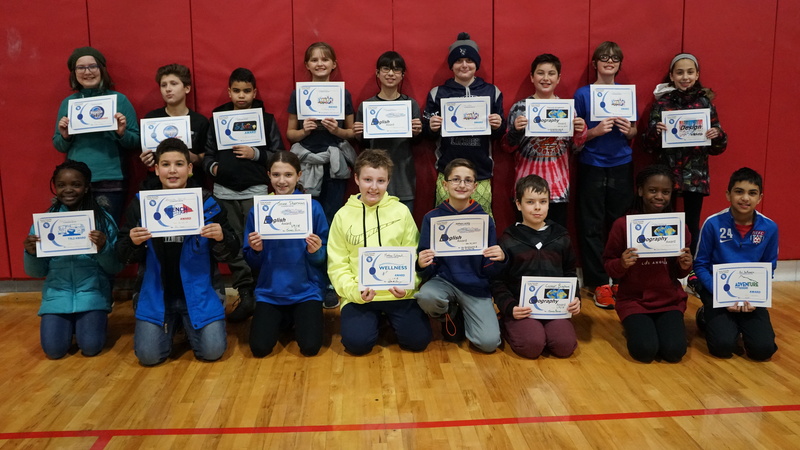 Each of the following scholars received a Trimester 1 HOWLs Improvement award to recognize them for their efforts and growth mindset that led to substantial improvement.